If you manage pay-per-click ads for client, you will need to provide them a report on a regular basis showing how the ads perform. Here are a few important elements you can take care to create the perfect PPC report. Top PPC companies in Ventura recommend being completely transparent and showing all the numbers. After all, this is what running a successful PPC campaign is all about. If you are able to explain the numbers and results duly, you build trust, which is important for long-term. Go over important numbers such as how many times the ad pulls up, click-through rate, score, etc. Goals: Clearly state the goals. Sometimes clients can drift away from their core goal, but make sure you begin by stating the goals is important to stay on task. Having the goals at the core will affect how you read the results of the PPC ads and changes you make. Provide information: Begin the PPC report with more general information such as timeline and the campaign or ads you are covering. State or reiterate the overall goal. Summarize the results related to the goal. Then dive into more details in the report such as the specific numbers. Some clients may be more interested in the summary, while others will want to spend more time going over the detail. Technical terms: Define and explain some terms to clients. Make sure they understand what click-through rate means, for example. You may even want to provide a key that define certain words that clients typically don’t understand. The goal here is to communicate clearly so that you and the client are on the same page. Stats: Combining stats from multiple platforms is a service that the best PPC companies in Ventura recommend. If you are running ads on Google and Bing, do the best you can to aggregate the results. This is easier if the ad content is the same on both platforms. Still, present a clear chart or list that shows results from Google and Bing. This can help in discussions of what needs to be adjusted for each platform. The only thing that stays the same in the world of search engine optimization is the constant flux. 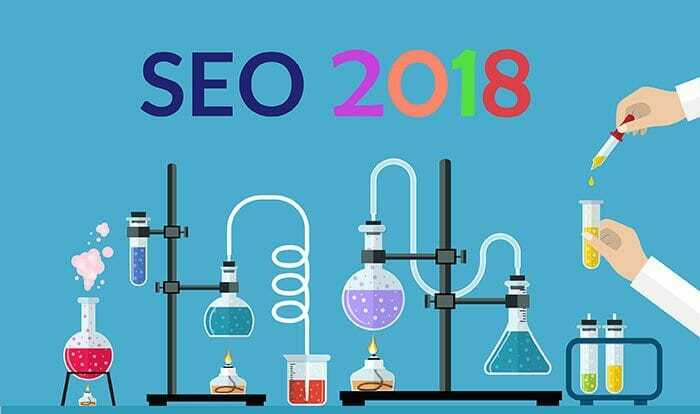 But that doesn’t mean there aren’t some specific things you can do to succeed in your SEO efforts in 2018. Here are some effective things you can do that are still important. Creating valuable content that is genuinely intended to serve, teach, entertain or inspire the specific audience you want to attract will always be a great way to go. White hat SEO services preach about getting specific with your content, because people have specific questions and needs. Your content can answer those questions and meet those needs. Build this around the specific keywords your audience is online searching for. Spend some time searching for keywords relevant to your site, business or content. This reveals what people are already online searching for. This will also give you ideas for other keywords you might not have thought of. For example, if you are a personal trainer wanting women clients, you may find that they are searching for “home arm workouts without weights” instead of searching for “how to strengthen triceps.” Both topics are very similar, but the keywords are quite different because the first reveals a specific need and question from a specific audience. Creating specific, keyword-rich content is known as on-page SEO. This is critical in people finding your website. However, off-page SEO is also highly recommended by White hat SEO services. Off-page is basically links from other sites (because they are “off” of your site) that lead back to your website. This helps a lot when websites that are more credible than yours link to your site. Links can also come from directories, blogs, video sites like YouTube, press releases and more. Make sure your website layout, load speed and content are mobile-friendly. More than half of all website visitors today are using a mobile device, and that number is growing. The experience of reading and navigating a website on smaller mobile screen is much different from using a wide desktop screen.